James Bond is undeniably a fashion icon. The spy&apos;s suave style has been emulated by countless dudes looking for a sophisticated look that will help them bag their own Bond girl. For the upcoming James Bond film, Spectre, that style will once again defined by designer Tom Ford, WWD reports. Daniel Craig, who plays 007, will be dressed in six different looks tailored and designed specially for him from Ford and the film&apos;s costume designer Jany Temime. The outfits include suits, eveningwear, shirts, ties, knitwear, ties, accessories, and eyewear. Everything was hand-made in Italy for the film. The six outfits include a number of suited-up looks that mix in a variety of accessories and sportswear that only Bond could pull off, such as cummerbunds, bowties, and a "nylon quilted cardigan jacket." We also know that Bond will be wearing a special Spectre edition of the OMEGA Seamaster 300. This is the third installment of the franchise Ford has been a part of after dressing 007 in both Skyfall and Quantum of Solace. "I could not be happier to be dressing Daniel Craig as James Bond again in the upcoming film, Spectre,&apos;" Ford told WWD. "James Bond epitomizes the Tom Ford man in his elegance, style and love of luxury." 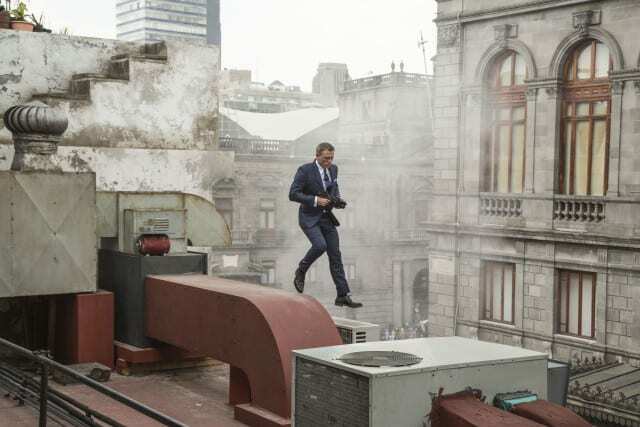 You can check out the new styles when Spectre hits theaters on Nov. 6. Here's Another Bond Girl for "Spectre"